STAMFORD, Conn., Dec. 13, 2016 /PRNewswire/ -- Conair Corporation, in cooperation with the U.S. Consumer Product Safety Commission (CPSC), announced today a voluntary recall of the riveted blade contained in the following products. Affected consumers should stop using the riveted blade immediately unless otherwise instructed. 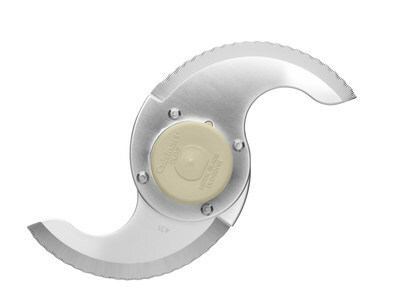 Name of Product: Riveted blade contained in Cuisinart® food processors. Hazard: The food processor's riveted blade can crack over time and small metal pieces of the blade can break off into the processed food. This may pose a laceration hazard to consumers. Consumers should immediately stop using the food processors' riveted blade and contact Cuisinart for a free replacement blade. Consumer Contact: Cuisinart toll-free at 877-339-2534 from 7 a.m. to 11 p.m. ET Monday through Friday and from 9 a.m. to 5 p.m. ET Saturday and Sunday, or online at www.cuisinart.com\recall: consumers can click on Product Recalls at the bottom of the page for more information on the voluntary recall. 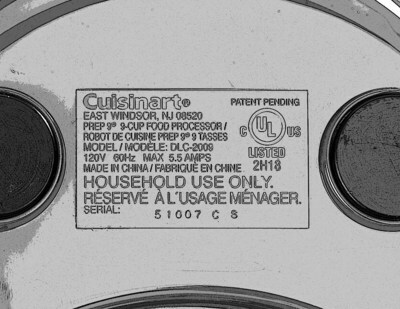 Description: This recall involves the riveted blades in Cuisinart food processors with model numbers that begin with the following: CFP-9, CFP-11, DFP-7, DFP-11, DFP-14, DLC-5, DLC-7, DLC-8, DLC-10, DLC-XP, DLC-2007, DLC-2009, DLC-2011, DLC-2014, DLC-3011, DLC-3014, EV-7, EV-10, EV-11, EV-14, KFP-7 and MP-14. The model number is located on the bottom of the food processor. The blades have four rivets and are silver-colored stainless steel and have a beige plastic center hub. 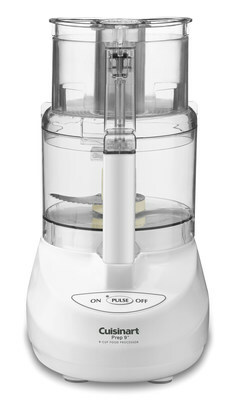 Only food processors with four rivets in the blades are included in this recall. 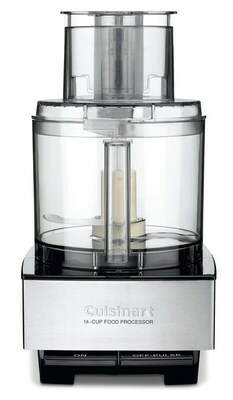 Cuisinart is printed on the front and on the bottom of the food processors. Sold at: Department, gourmet and specialty stores nationwide and on various websites from July 1996 through December 2015 for between $100 and $350. Distributor: Conair Corp., of Stamford, Conn., owner of the Cuisinart brand. Cuisinart, universally known for introducing the food processor in America, is a leader in culinary appliances, professional quality cookware and kitchen accessories. The company's cutting edge reputation can be seen on numerous fronts, from industry-first products and design awards to sponsorships of culinary events and TV cooking shows. Cuisinart manufactures a full range of products under the tagline, "Savor the Good Life®." These products include cookware, countertop cooking appliances, blenders, stand mixers and coffeemakers, as well as food processors, toasters and toaster ovens, ice cream makers, and waffle makers. Cuisinart has the following websites: www.cuisinart.com and www.cuisinart.com/baby, and social media sites: www.facebook.com/cuisinart, www.twitter.com/mycuisinart, www.twitter.com/cuisinartpr, www.instagram.com/cuisinart and www.snapchat.com/cuisinart. The company also has an iPhone, iPad and Android app, Cuisinart's KitchenSync http://www.cuisinart.com/recipes/kitchensync.html.